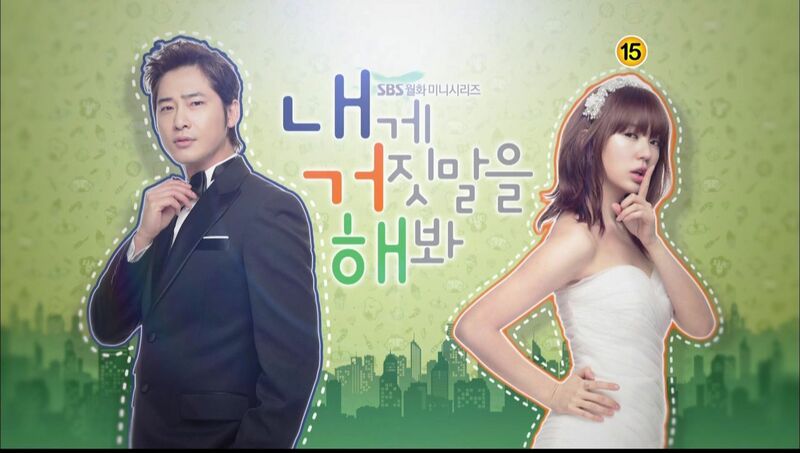 The currently airing C-drama My Sunshine is beyond addicting. It’s like tasty empty calorie fluffy drama popcorn. 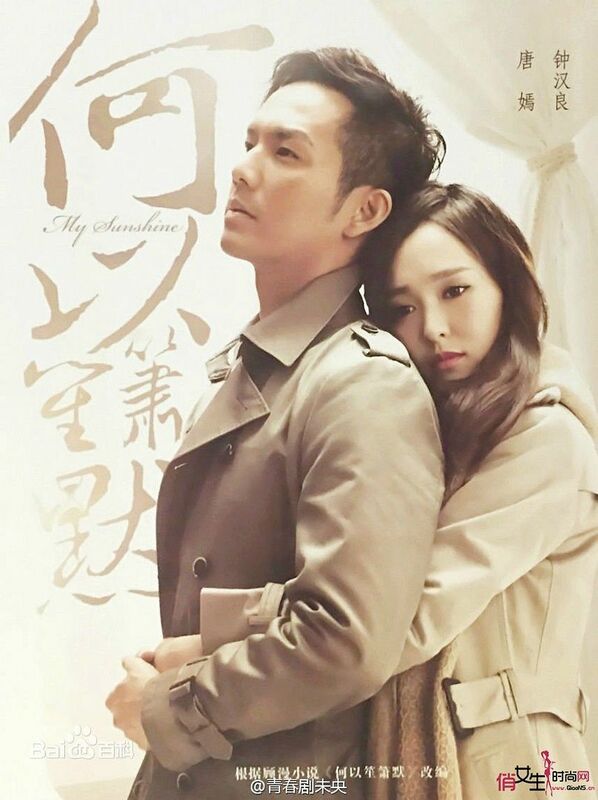 Adapted from the popular C-novel Silent Separation (He Yi Sheng Xiao Mo 何以笙箫默), the C-drama stars suitably cast Wallace Chung and Tang Yan but what keeps me addicted are the two youngsters and the college era sweet romance. That, and Wallace occasionally cracking a knee-softening smile in the present timeline despite Tang Tang basically sleepwalking through her character having a personality lobotomy after she grew up. The underlying story has proven its popularity with the drama doing gangbuster ratings which bodes well for the currently filming big screen movie version starring A-list popular stars Huang Xiaoming and Yang Mi. 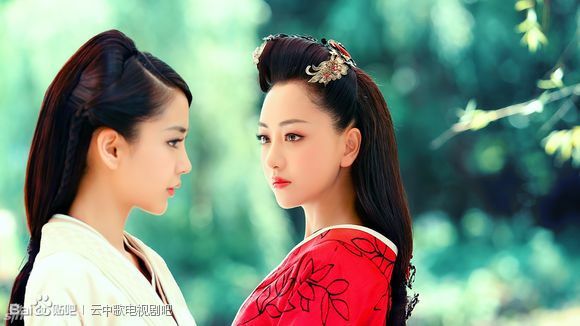 Yes yes, there is massive irony in two best friends Tang Yan and Yang Mi playing the exact same character in different mediums. The movie also stars Tong Dawei in the thankless role of Ying Hui but ups the idol ante by having EXO‘s Tao (Huang Zitao) in his acting debut playing the flashback young version of Huang Xiaoming’s male lead. This ought to be interesting so count me in for a second serving in a different bowl. 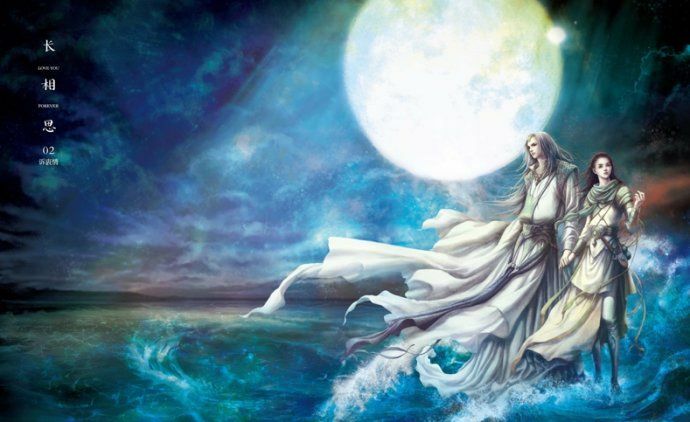 For those who watched Return of the Condor Heroes 2008 with Huang Xiaoming and Crystal Liu, seeing his reunion here with Yang Mi, who played teenage Guo Xiang in the drama, will be an extra special treat. I’m game for the movie version to see if it ups the intensity to strip out all the padding and filler in the story. The official posters for the movie version aren’t out yet but the fan created ones are quite lovely already. 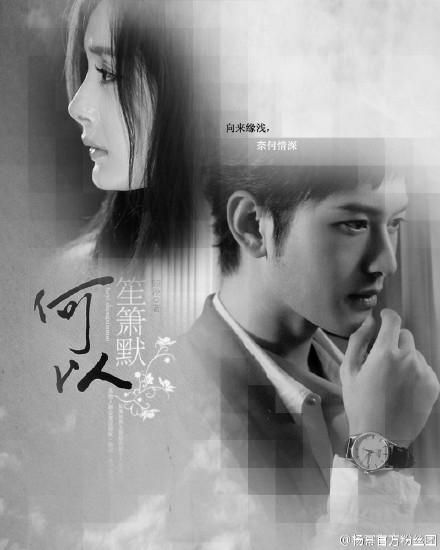 The C-drama really had some of the prettiest posters and stills, not to mention Wallace basically stepped straight out of the novel as the perfect He Yi Chen. Huang Xiaoming would not have been my first choice as Yi Chen, there’s just too much energy in him and Yi Chen is soooooo placid like water (most of the time). Anyone else looking forward to the movie and ready for a round 2? 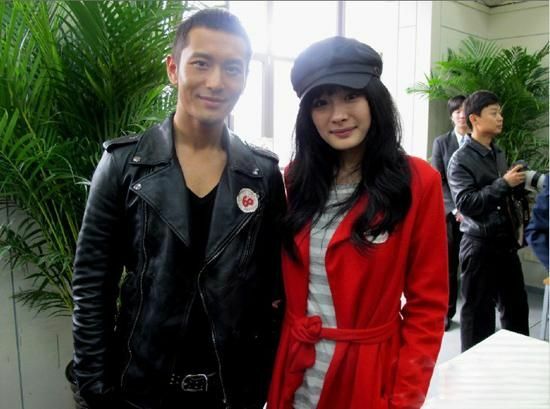 On a side note, aside from Tang Tang and Yang Mi being real life besties playing the exact same character, drama afficianados ought to remember the Huang Xiaoming-Wallace Chung connection. 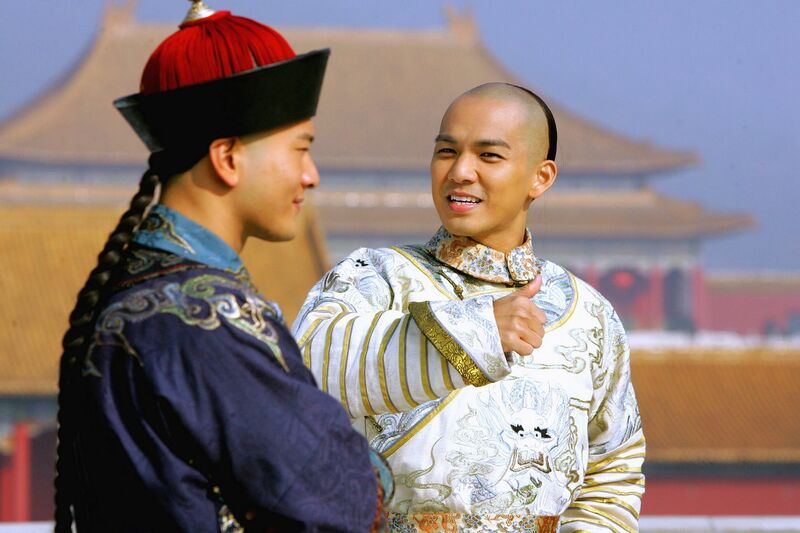 They played Wei Xiao Bao and Emperor Kangxi, respectively, in the 2008 Zhang Ji Zhong adaptation of The Duke and the Cauldron (also called The Duke of Mount Deer but this C-version got the English name of The Royal Tramp). They spent a year playing best friends! LOL, I’m forever going to hold up the bromance in Duke as the single best bromance ever written in fiction, between the illiterate son of a prostitute and the young Emperor of China. And now Xiao Bao and Kangxi are both playing Yi Chen, who woulda thunk it? Wallace has the ‘soul’ of yi chen more than huang xiao ming even i like HXM also. HXM is too ‘pretty’.. no offense.. I have read the novel much earlier, just finished watching the drama serial and will look forward to watching the movie when it comes out. 🙂 There is really something in this simple story/plot that is so compelling. Really liked Wallace in the drama but the drama would have been more impactful and captivating if it was produced as a 20-episodes drama (instead of 32 episodes), and with better editing. I wonder if this story would work as a Korean drama(?). I agree about the simple story/plot. I was trying to explain my rabid fascination to some people the other day, and one just shrugged, “Oh another first love story” while the other said “The college stuff sound just like It started with a Kiss.” I supposed when it is just summed up like that . . .But it feels like so much more. Is it the specific characteristics of the characters? For example, I never liked the female lead in It Started with a Kiss and liked the female lead in Playful Kiss even less (even though I like both actresses. 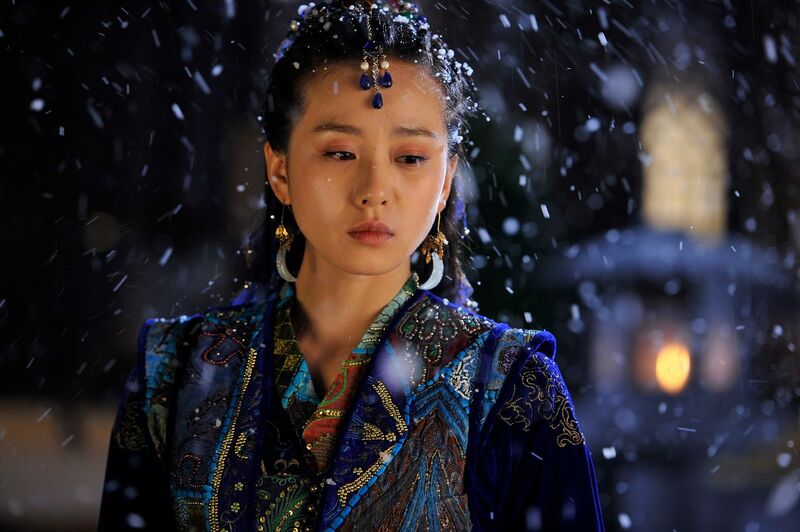 But I really like Mo Sheng and find her spunky and determined rather than a sad stalker. And I cannot say enough about Yi Chen . 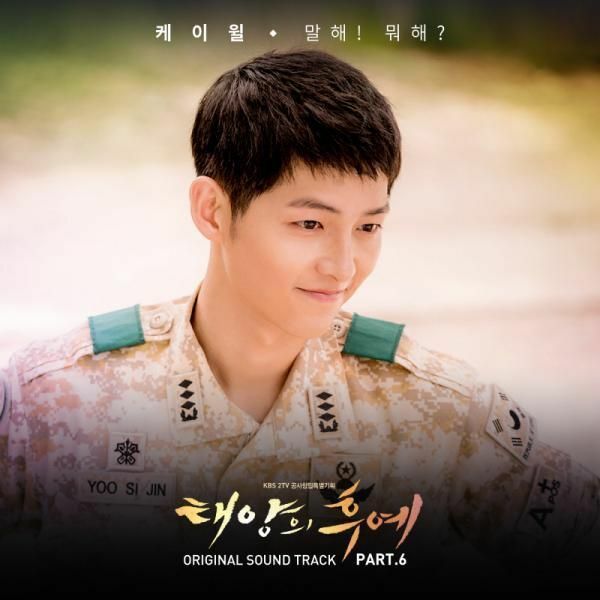 . .
I’ve watched the first 8 episodes and I’m so addicted~! I really love the college era storyline. I feel like adult Mo Sheng is a wet blanket compared to college-age but I still love it. Huang Xiaoming and Yang Mi had pretty good chemistry in ROCH (despite not playing a couple), so I’m looking forward to their interactions here. And lol, imagine if HXM and Wallace Chung were bffs like Yang Mi and Tang Yan. That would be sooo weird but also really cute. Looking forward to movie version too but i don’t know if HXM can pull of Yi Chen well like Wallace Chung did because WC portrayed the character perfectly imo. Even though it kinda went off track fr the second half of the drama where Yi Chen becomes more smiley and energetic, it was still addicting. 😀 Yi Chen in the novel never really express himself towards Mo Sheng. As for Tao being younger version of Yi Chen, i would rather like it if they use an actor. He has that cold, smart kind of vibe but it all depends on how he will pull it off. I hope you also write more posts on C dramas as well as Taiwanese dramas. It’s rare to find good drama like this as I m completely fell in love with Yi Chen and Mo Sheng characters. Came across your site and this is my ultimate site for news on chinese and taiwanese news.